Derby, UK – 7th August 2018 – Node4, the cloud, data centre and communications provider, has launched N4Stack, a range of services enabling Microsoft Azure users to move to a highly automated Infrastructure as Code (IaC) model across data operations, DevOps, security and SysOps functions. N4Stack will integrate Azure SQL, CosmosDB, Azure Active Directory and more to provide customers with a seamless hybrid service model across both Node4 data centres and Azure. N4Stack is designed to overcome the challenge faced by many Managed Cloud Providers who try to port out-dated service models from their own data centres into Azure, without embracing its full range of capabilities. Adopting an IaC approach and building teams which include DevOps, data and security experts, allows customers to build new services that are cloud-native and add real value, especially to Azure developers. 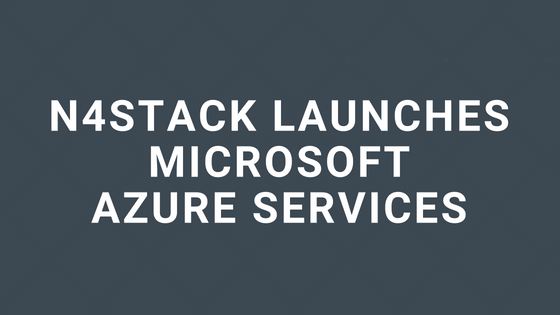 The launch of N4Stack will allow Node4 to extend its relationship with Azure customers as they build new applications to take advantage of Azure Platform as a Service (PaaS), AI and cognitive services. In addition, Node4 will work with Microsoft to modernise their service capability with a focus on building new competencies and enabling customers to take advantage of Microsoft Azure services. N4Stack is a Node4 brand that brings together the Database, DevOps and Cloud practices to provide a range of enterprise Consulting and Managed Services. A born in the cloud provider, N4Stack are closely partnered with Microsoft Azure and AWS to provide transformational services which help customers modernise their application deployments. Our role is to act as the trusted party operating the infrastructure and data platforms supporting the application in a DevOps aligned model.